With your rental properties taken care of by Real Property Management, you have some free time to do some cooking. In honor of the colder weather (for many of you) and the Big Game coming up, we’ve put together some of the best warm, delicious soup recipes, straight from our franchise owners. Warm up with these fun recipes. Melt butter and brown meat. Season with red pepper. Slowly add vegetable juice and simmer for about 10 minutes. Dice the potatoes in various sizes (the smaller pieces will thicken the soup) and add to meat. Once the soup begins to boil, add remaining vegetables and water if needed. If using whole tomatoes, add them now. Cover pot and cook over medium heat for approximately 1 1/2 hours or until meat is tender. This is a hearty soup made with whole grains and mushrooms simmered in a beef broth. 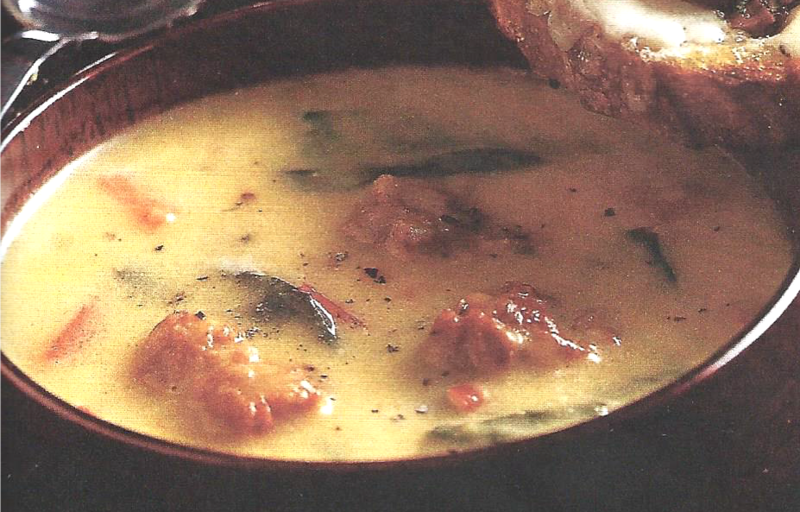 It goes great with a crusty bread and salad. Heat the olive oil in a large pot over medium heat. Add the onion; cook and stir until onions are limp, but not brown, about 5 minutes. Mix in the celery and carrot; cook for another 5 minutes. Stir in the barley and lentils so they are coated with oil, continue to cook and stir until lightly toasted. Pour in the beef broth and season with thyme, parsley, pepper and the bay leaf. Bring to a boil. Add the porcini mushrooms, cover and simmer for 25 minutes over low heat. 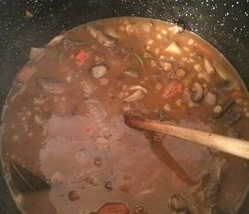 Add the button mushroom, cover and continue cooking for another 30 minutes, stirring occasionally. Mix in sherry during the last 5 minutes. Taste and adjust seasoning if needed before serving. Brown sausage in 1 tbsp oil in a skillet over medium-high heat until cooked through. Drain on a paper-towel-lined plate; set aside. Sweat onion and garlic in 1 Tbsp oil in a large pot over medium heat until soft, 5 minutes. Increase heat to medium-high, add squash and pepper flakes, and sauté 5 minutes. Stir in broth and water, bring to a boil, and simmer until squash is very soft, about 10 minutes. Puree soup with a handheld blender (or in batches in a standard blender), then add bell pepper, cream, sage, and sugar; simmer until bell pepper is tender, about 5 minutes. Stir in spinach, brandy, and sausage, and simmer until spinach wilts and sausage is heated through, about 2 minutes; season with salt and black pepper. Sauté bell pepper and onion in margarine. 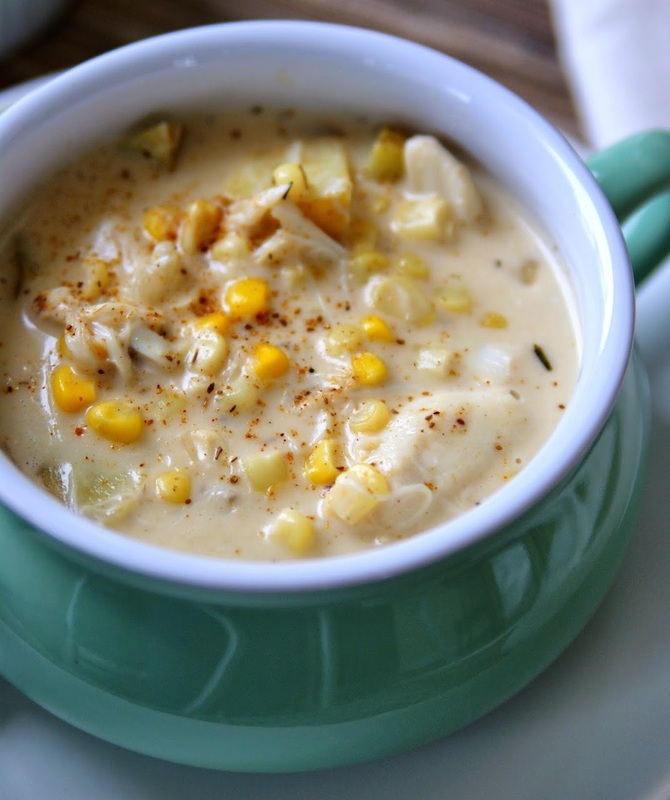 Add corn, potato soup, milk (or cream), and crabmeat. 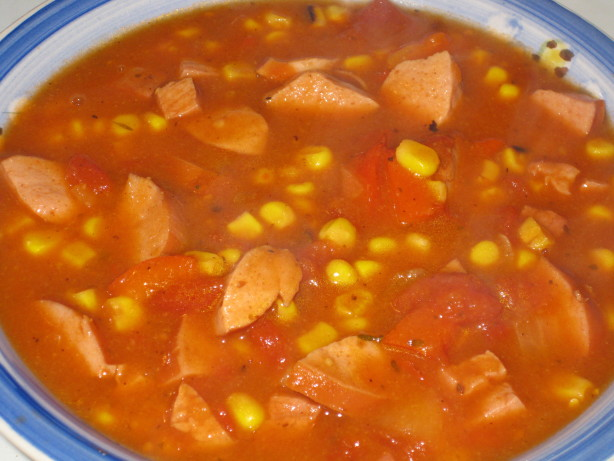 Cook chowder for 20 minutes or until it reaches the desired consistency. Add parsley and season to taste. To reduce calories, you may use skim milk and reduce the amount of margarine you use to sauté ingredients.